What is it with celebrities giving their children odd names? We’ve had Gwyneth Paltrow and Coldplay frontman Chris Martin name their daughter Apple, David and Victoria Beckham with Brooklyn, Cruz and Harper Seven and Nicholas Cage naming his son Kal-El (which is SO Nic Cage and also Superman’s real name). 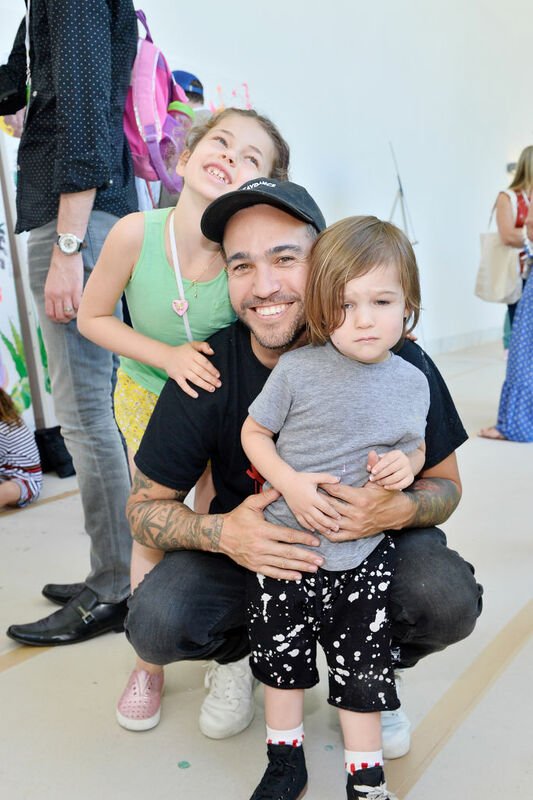 Now Fall Out Boy’s Pete Wentz and his girlfriend Meagan Camper have joined the celeb-cult of giving their kids ‘out there’ names after they welcomed the arrival of their baby girl Marvel Jane. So excited to introduce Marvel Jane Wentz. Feeling so grateful that she’s here… annnnd she’s already ready to takeover the world ❤️? happy Mother’s Day @meagancamper and all the moms out there. We ❤️ you. You read it right, the 38-year-old bassist is such a big comic book fan he decided to name his daughter after his favourite publication. To be fair it’s just slightly better than naming her DC. Wentz made the announcement yesterday on Instagram, introducing his newly born baby girl to his 1.6 million followers. So excited to introduce Marvel Jane Wentz. Feeling so grateful that she’s here… annnnd she’s already ready to takeover the world happy Mother’s Day @meagancamper and all the moms out there. We love you. Wentz is such a huge comic nerd even his band Fall Out Boy is a homage to the sidekick of Radioactive Man, a faux-comic book character idolised by Bart Simpson in The Simpsons. His fans were quick to comment on the picture of his daughter, with many of them recognising the fact she shares her name with Stan Lee’s ‘house of ideas’ – one person even praised her father as the ‘ultimate Marvel stan’. If Marvel Jane feels some type of way about her name when she gets older at least she’s in good company among her siblings. Wentz has two sons, 9-year-old Bronx from his previous marriage to singer Ashlee Simpson and 3-year old Saint, Pete and Meagan’s first together. I’d just like to say the Bronx is one of the toughest areas to grow up in New York and Wentz’s son would look so out of place in the birthplace of hip-hop culture. And, well, Saint. According to BBC Newsbeat, Wentz made an announcement last January that he and 29-year-old Meagan were expecting a daughter. Fans also took to Twitter to offer their congratulations to the Fall Out Boy band member. pete wentz named his baby marvel. that’s it. he wins. he’s the Ultamite marvel stan. everyone else go home. pete wentz named his baby marvel. that's it. he wins. he's the Ultamite marvel stan. everyone else go home. Others were quick to point out his daughter shares the same middle name, ‘Jane’, with Marvel Comics’ premier super heroine Captain Marvel. In the comic books, her full name is Carol Susan Jane Danvers. For Marvel film fans, Captain Marvel will be making her debut in the MCU next year with both her solo film (March 8) and Avengers 4 (April 26), she will be played by Academy Award-winning actor Brie Larson. Black Panther is my favorite marvel movie. In the past, Wentz has publicly professed his love for all things Marvel, he even declared this year’s Black Panther as his favourite MCU film so far.